Are you thinking about a bandwidth upgrade? Let’s take a minute to think about why you’re considering this. Is lack of bandwidth the issue? Do you really need more bandwidth? Or do you need to start using the bandwidth you have more efficiently? Let’s say you decide to go with a bandwidth upgrade. The outcome may not be what you expect. When talking to customers, I often use the phrase “Nature abhors a vacuum” which is a pretentious way of saying that empty spaces are often filled. Once your users find out there’s been a bandwidth upgrade, the flood gates will open. Your users will find a way to fill up that new bandwidth quickly – and not in the way that you want. I can think of a particular customer who chose to upgrade their bandwidth and forgo putting any control mechanisms in place. Within weeks, they were hitting their new bandwidth ceiling and performance degraded across their network. What happened? Let’s take a look at what you can expect your users to do after they find out there’s more bandwidth. An increasing number of companies are allowing access to recreational traffic during work hours. Need to check Facebook? Go ahead. Want to listen to music while working? Feel free. Want to stream Netflix while you’re working? Maybe not. Regardless of what your company allows, recreational traffic steals resources away from critical apps. When running at lower bandwidth, the video or audio quality might not have been there which discouraged users from using these apps. The moment your users find out that there’s bandwidth available – they’ll run back to their favorite streaming apps and start listening to music again. Shadow IT is a thorn in the side of many organizations. If IT can’t provide the services that your users need, they’ll just find an app that does. Unhappy with the corporate sharing system, just set up Dropbox to get the file to your customer. With limited bandwidth, these cloud services might not be attractive since the performance isn’t there. As soon as more bandwidth is available and these services are more usable, your users will start to bypass sanctioned corporate apps in favor of their app du jour. It’s not me, it’s the app! And it’s not just your users that will be at fault. The services themselves could pose a threat even if your users behave. An increasing number of applications these days are adaptive. Most streaming services default to an ‘auto’ mode where they’ll accommodate the bandwidth available. 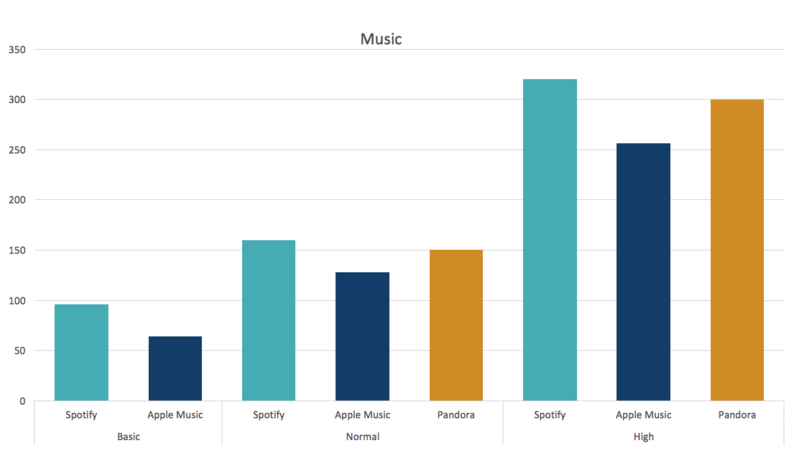 Spotify traffic can triple in size. 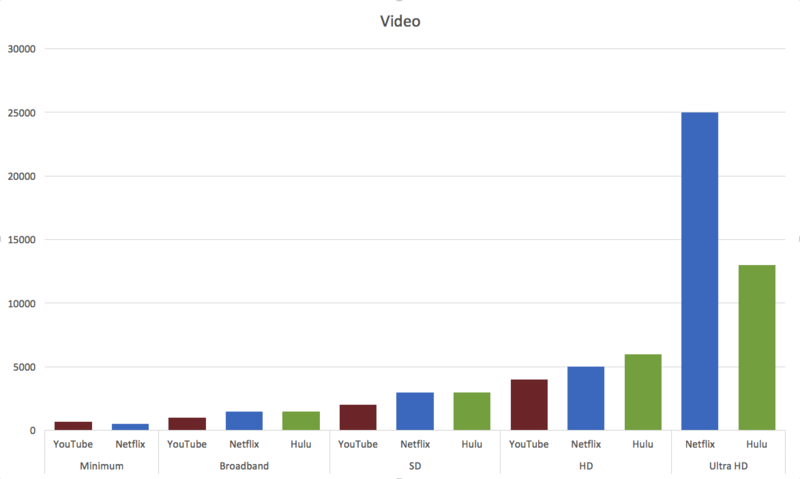 YouTube traffic can quadruple and Netflix can quinquagintuple (that’s a 50 fold increase – and yes I had to look it up). Many of these services might have run in low quality mode when bandwidth was scarce. Double your bandwidth and watch how quickly streaming services start to eat up your bandwidth as they adjust to the extra resources that are available. There are many cases where adding bandwidth makes a ton of sense – but it’s not always the answer. Before going with a bandwidth upgrade, ask yourself whether or not you’re efficiently using what you have today. For most potential customers we talk to – the answer is almost always no. Need help make efficient use of the bandwidth you have? Contact an Exinda Solution Expert for a chat or a 1:1 demo.